Firearms and Training: Dry Fire Practice Is A Waste Of Time. Dry Fire Practice Is A Waste Of Time. That's what some people think! I must admit, when I first started, I was in that boat to a certain extent. 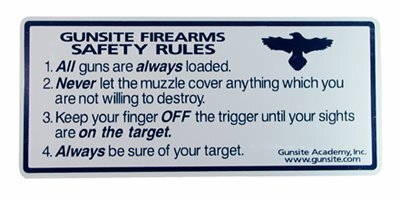 After all, how can not shooting a firearm help with shooting a firearm! That's like rowing a boat without any water or playing an air guitar! But, after I saw so many articles about dry firing I decided to give it a try. Boring. Still couldn't see it. I kept plugging away at it. I mainly did drawing from a holster to improve that skill. There, I found something that worked for me. Then I noticed that when I went to a training session I noticed that my skills didn't perish as much as before. My frustration in my learning progression decreased. My performance, as measured by a shot timer, was getting respectable. I finally was beginning to see the benefits of dry firing, I am becoming a believer! After awhile I decided to incorporate even more skills development into my dry firing regiment like the sight picture, trigger squeeze and follow through, just for the hell of it. All the while, I was going to the range, training with the Defensive Shooting Club and taking training courses. After a while, I blended the actual training movements that I learned into my dry firing session. Such as support side reloads and draws, support side marksmanship, shooting from retention etc. I brought back ideas that I learned during training and performed the actions at home. I would practice my grip and keep on practicing my sight picture watching that front sight to see if it moves during many rapid trigger pulls etc. After a while dry fire practice has become an integral part of my training and it is now a natural extension to my training regime. One observation is that I happen to know that some people have been training for a while with firearms but don't do the dry fire exercises thus only handle and perform the physical actions of firing a handgun during training. So, for example, if support side shooting is not practiced for months that skill will definitely degrade. Their skill level doesn't seem to progress very well. The tutelage they receive during training is not taken home with them and instilled into their psyche and motor skills via dry fire practice and thus the next training session they are back to doing the same thing that they were instructed previously was not such a good idea. They are re-learning and are forced to keep these skill at the conscience level. There is no automatic reaction to specific actions like malfunction clearances etc. On the other hand, I find that my skill don't degrade, as measured by various feedback mechanisms such as shot timers etc., but actually allow me to improve if not just stay consistent. Staying consistent is key (for me anyway). Also, dry fire practice has allowed me to push the basic movements of gun handling to my unconscious mind. I don't have to explicitly think about what to do during a particular stimulus. I can just tap/rack if I hear a "click" for example. I can move on to learn whatever is being taught at the time rather that worrying about stuff I should know already thanks to dry fire practice. So, it turns out, through trial and error, I found that dry firing is a valuable tool to use to improve your shooting mechanics. The discrete kinesiological movements required to carry out the required actions during handgun training can be reinforced during dry fire practice. Snap caps in the handgun. So, there you have it. The experts and professionals are right! I nearly disavowed your blog from reading the title, good thing I read the article lol.